Headset Support - On-hook default audio configuration, Headset jack: 2.5 mm. Includes power supply. 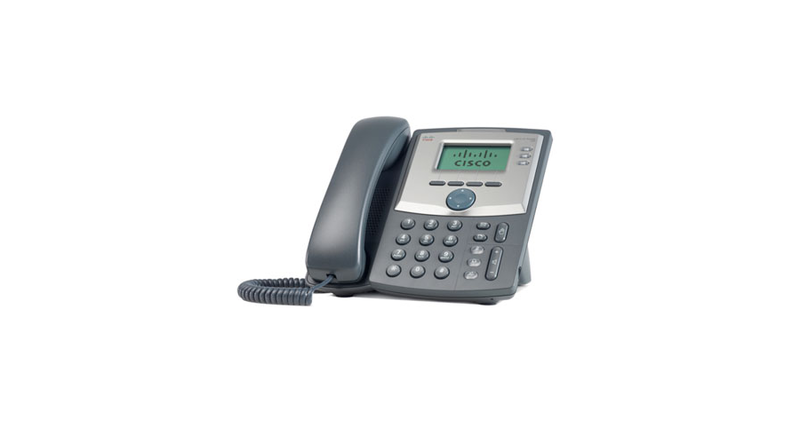 Cisco SPA 303 3-Line IP Phone with 2-Port Switch and LCD Display Cisco Small Business Pro IP Phones. The Cisco SPA 303 IP phone can also be used with productivity-enhancing features such as VoiceView Express, and Cisco XML applications when interfacing with the Cisco Unified Communications 500 Series in SPCP mode. With hundreds of features and configurable service parameters, the Cisco SPA 303 addresses the requirements of traditional business users while building on the advantages of IP telephony. Features such as easy station moves and shared line appearances (across local and geographically dispersed locations) are just some of the many advantages of the SPA 303. 5 VDC universal (Includes AC power supply.